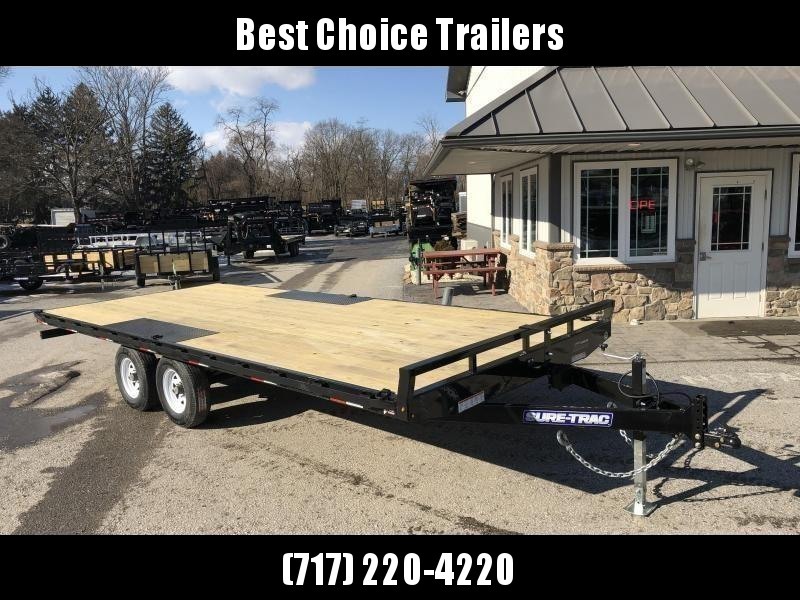 TRAILER IS PRICED WITH A PIERCED FRAME AND FULL WIDTH UNIVERSAL RAMP UPGRADE. 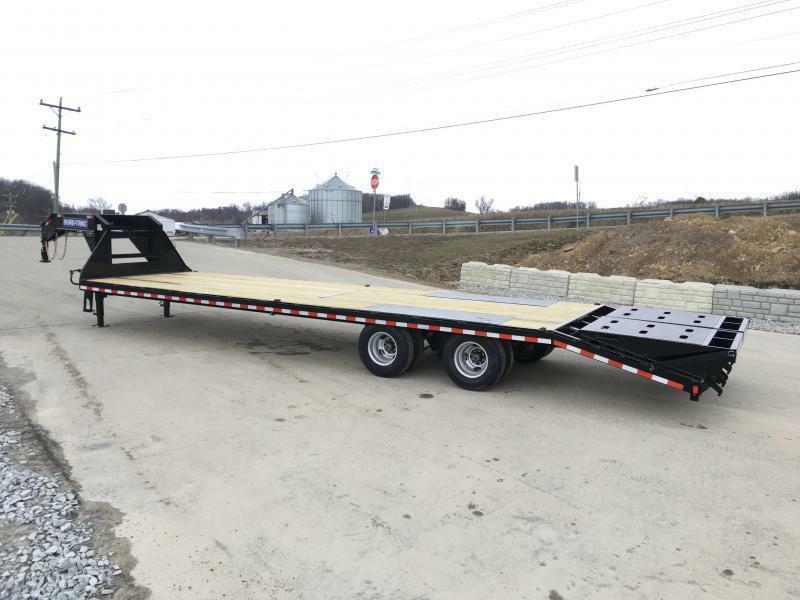 THIS IS A NICELY BUILT 22K DECKOVER. 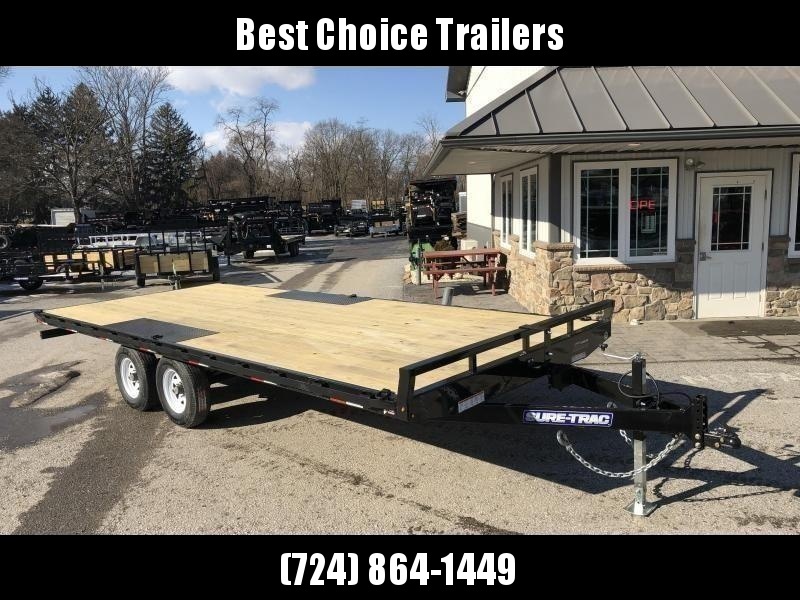 IT'S A VERY USER FRIENDLY TRAILER (SPRING ASSISTED RAMPS, TONS OF TIE-DOWNS, CUTOUT IN BACK OF RAMPS PREVENT TRUCK BOUNCING, CUTOUT IN RAMPS FOR 4X4'S FOR LEVELING OUT DOVETAIL) THAT'S HEAVY DUTY ENOUGH FOR MOST ANY USER (I-BEAM FRAME, CROSS TRAC BRACING, SLIPPER SPRING SUSPENSION, TUBULAR REAR BUMPER), AND HAS ALL THE FEATURES YOU'D EXPECT (LED LIGHTS, SPRING ASSISTED JACK, ADJUSTABLE COUPLER, RADIAL TIRES), TOPPED OF WITH ABOVE AVERAGE FINISH QUALITY (SOLID WELDS, SEALED WIRING HARNESS/MOLDED BRAKE CONNECTIONS, ETC). 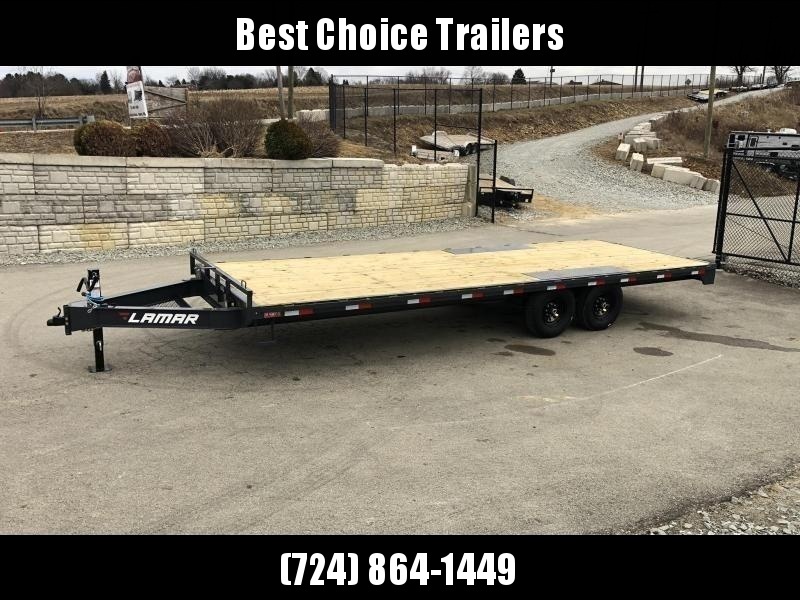 - 12" I-beam mainframe (All HD Deckover models 14K and higher weight rating receive a 12"/14 foot pound mainframe with higher weight ratings getting a 19 foot pound or higher. 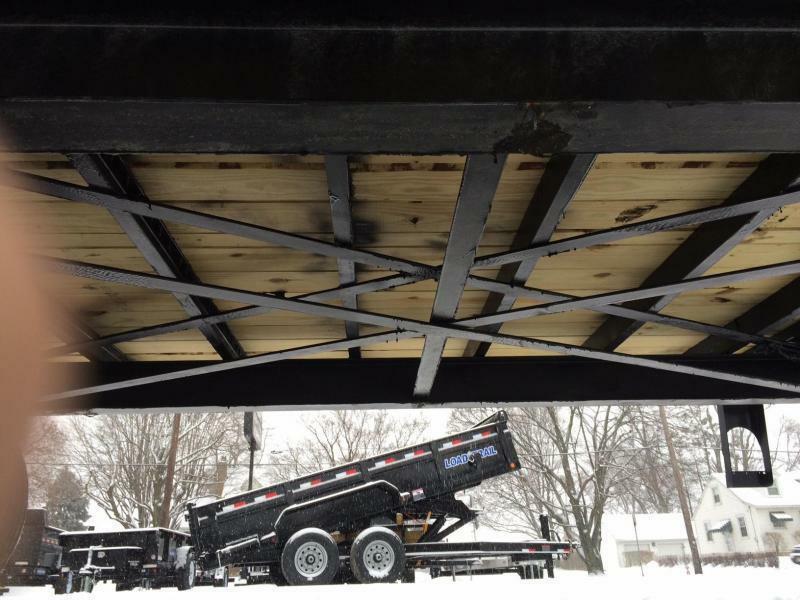 An I-beam mainframe is a strong, proven frame, and has withstood the test of time for years.Some other manufacturers use either a lighter I-beam such as a 8"/10#, or a 10"/12#, and some even use a 8" or10" channel frame). 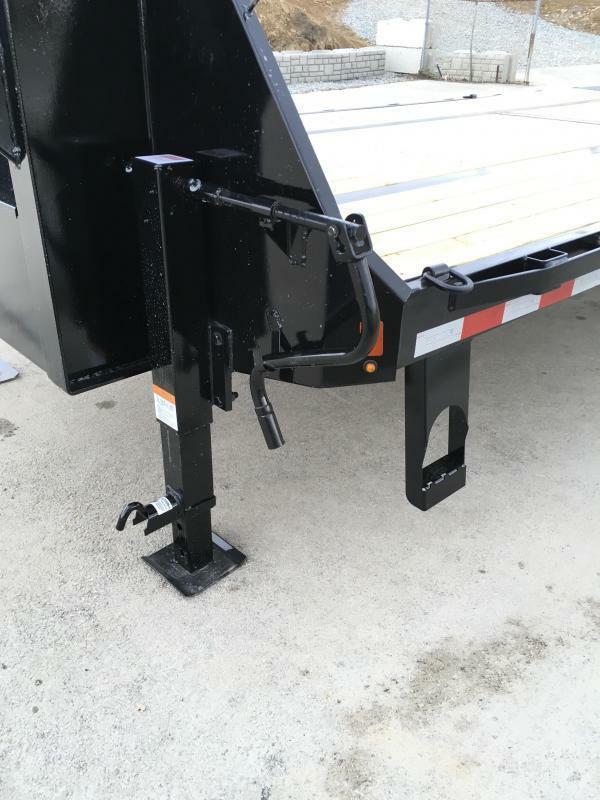 - Adjustable Coupler (Standard on all HD deckover trailers is your choice of an adjustable 2 5/16" ball or a pintle coupler that allows you to set the ball at different heights to accommodate different tow vehicles). 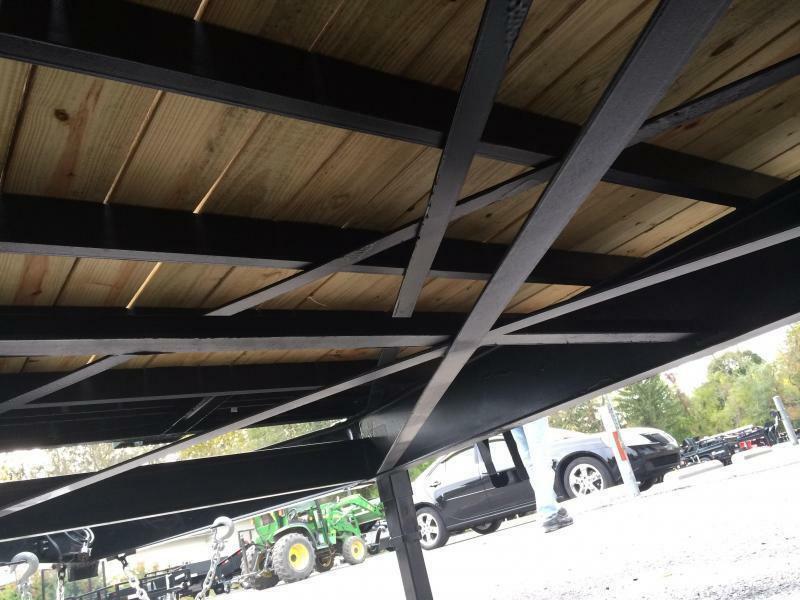 - Lots of Tie downs! 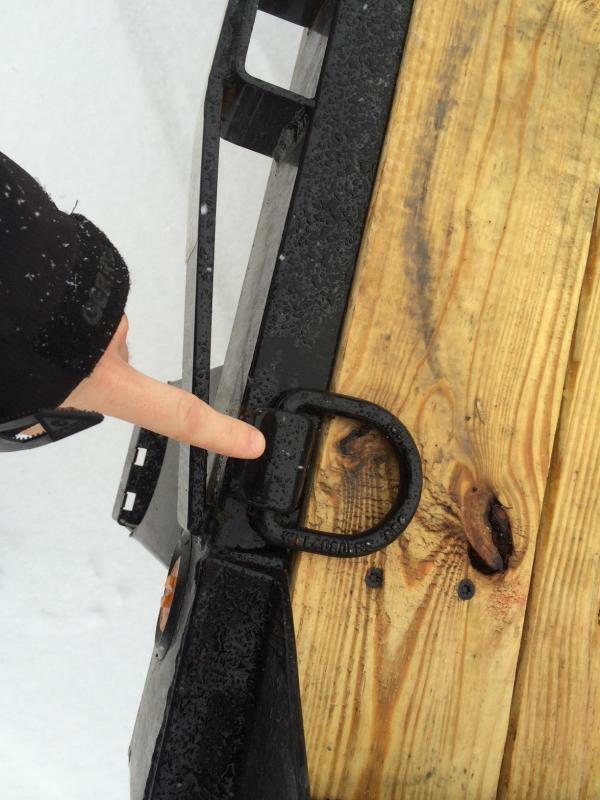 (8 HD D-rings, stake pockets on 2' centers, chain spools between each stake pocket, and full length rub rail. 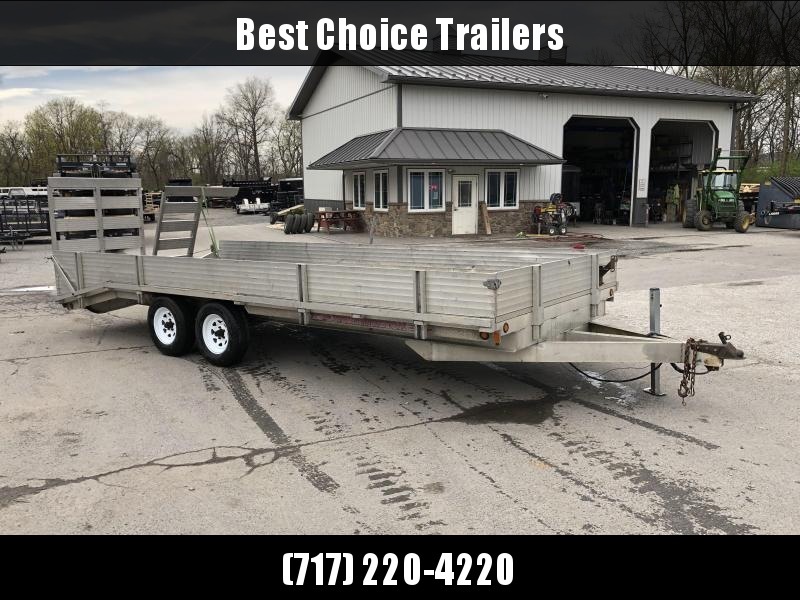 This trailer comes equipped with plenty of tie downs to secure most any load. 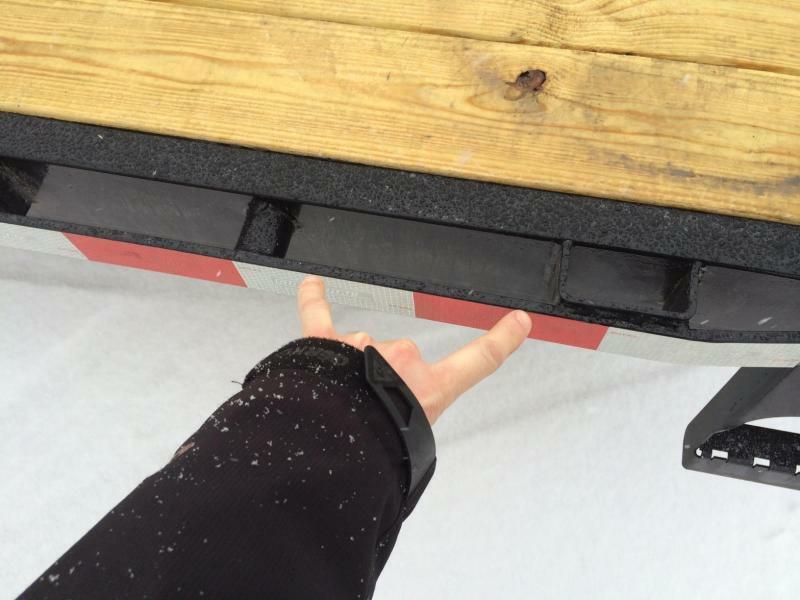 Many will give either D-rings, Stake Pockets, or combination thereof, but not all 4). 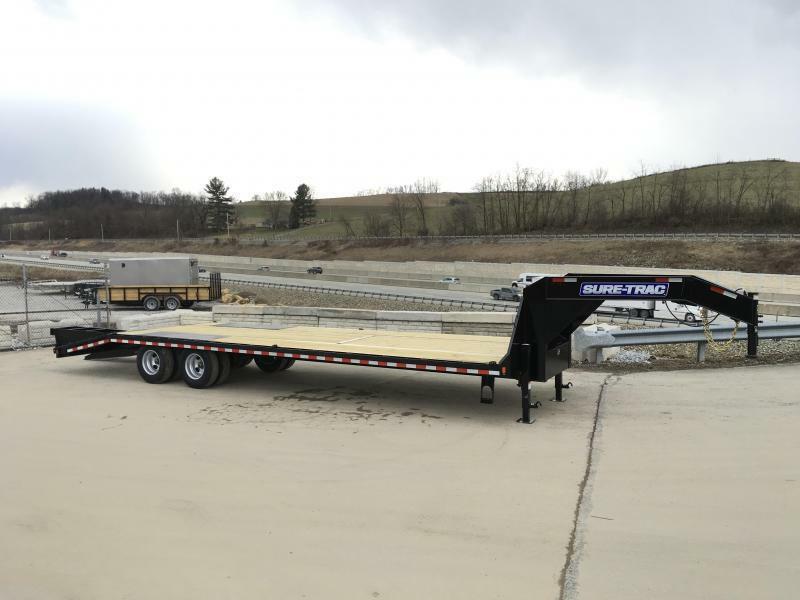 - Flip over ramps (The standard flip over ramps with spring assist make loading easy. 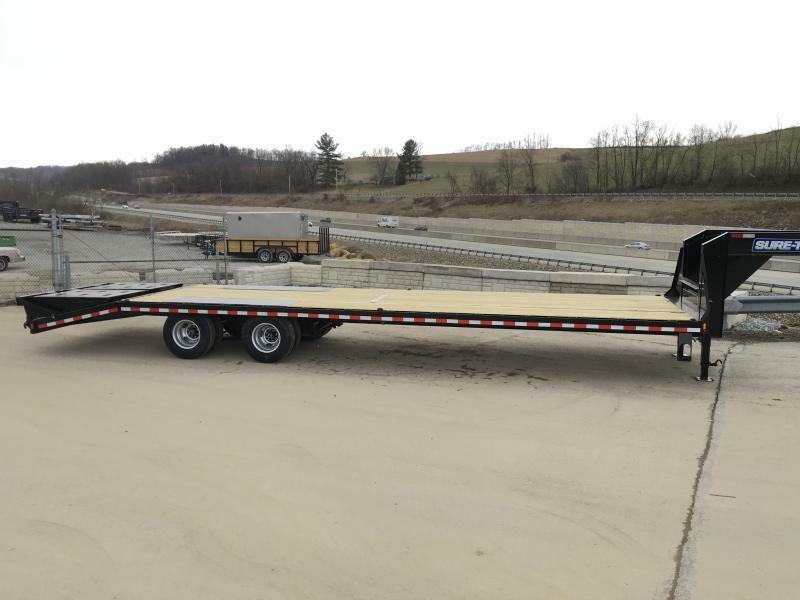 You'll find the ramps to be fairly wide giving piece of mind when loading. 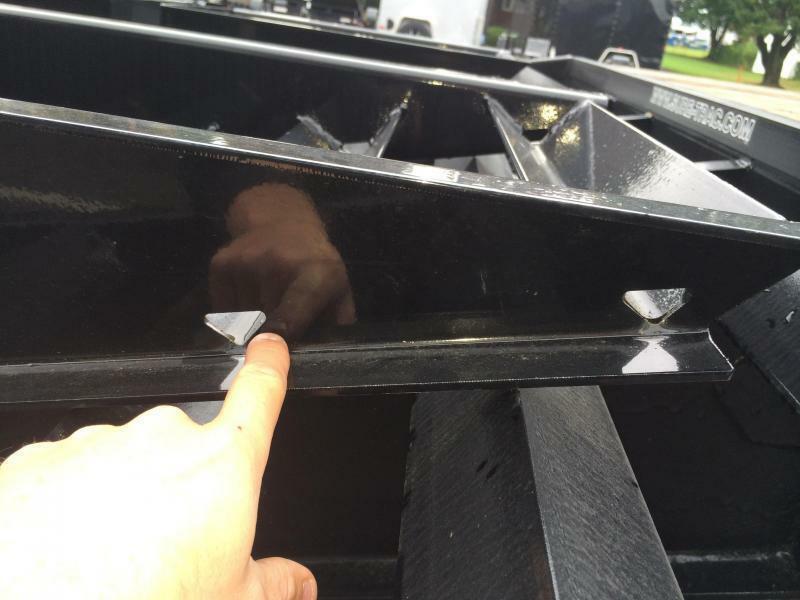 The ramps have several built in benefits not found on many others trailers: weep holes at the end of the ramp treads, 4x4" cutouts on the back side of the ramps, and a notch to prevent bucking of the tow vehicle. 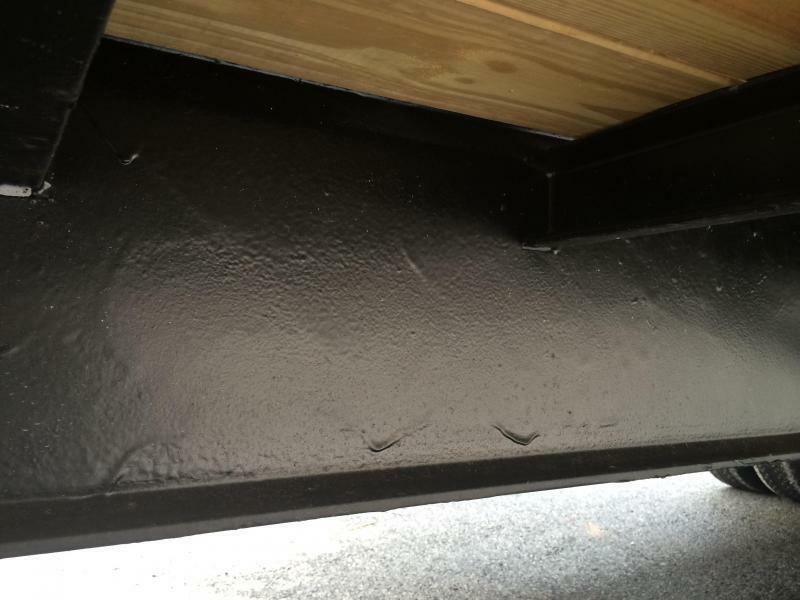 The weep holes are nice as water runs out the end of each ramp rather than collecting water. 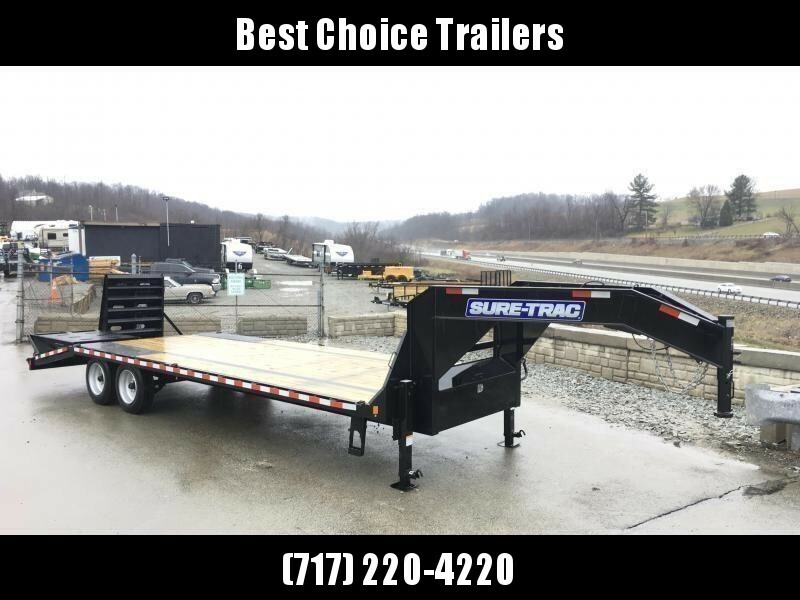 4x4" cutouts are a nice touch as they allow you to make your own self leveled beavertail when needed to haul items like round bails. 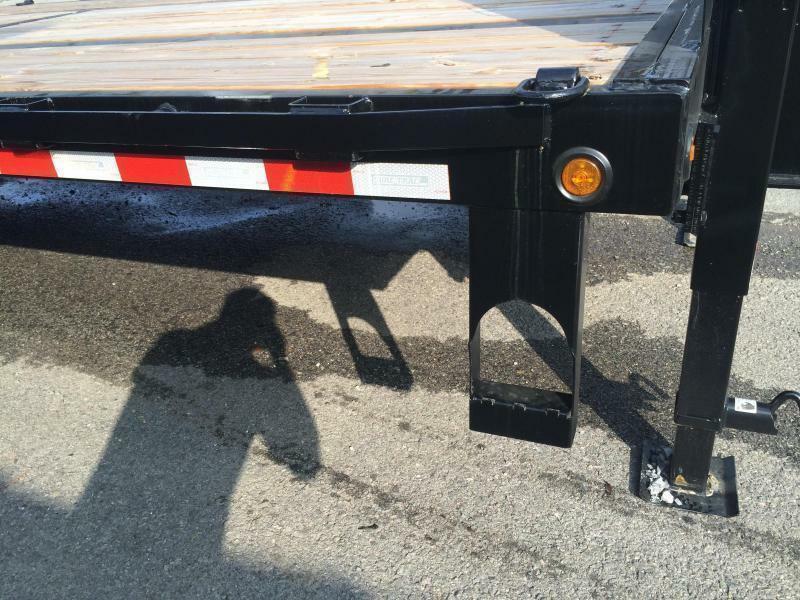 There is a notch on the back of the loading ramps that will cup under the tubular bumper to prevent the truck from bucking when loading. 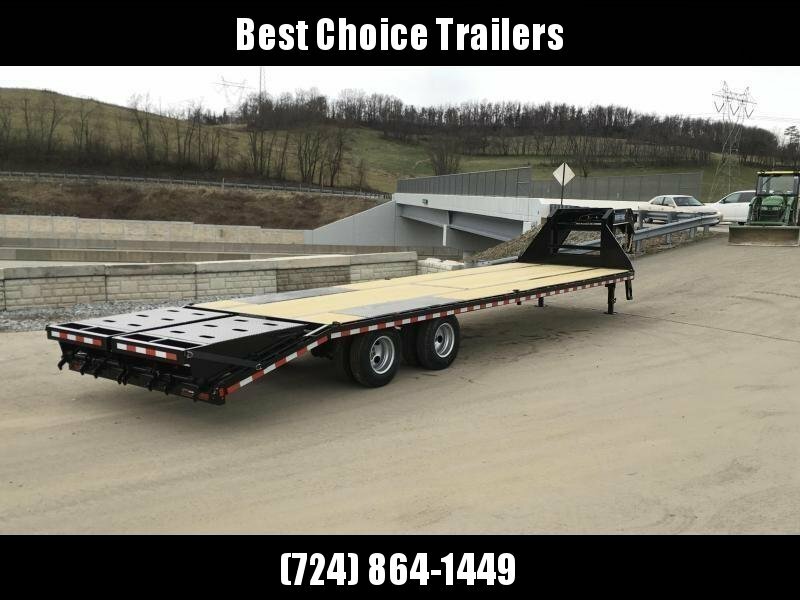 These simple features make the trailer more user friendly, and safer than competitors trailers). 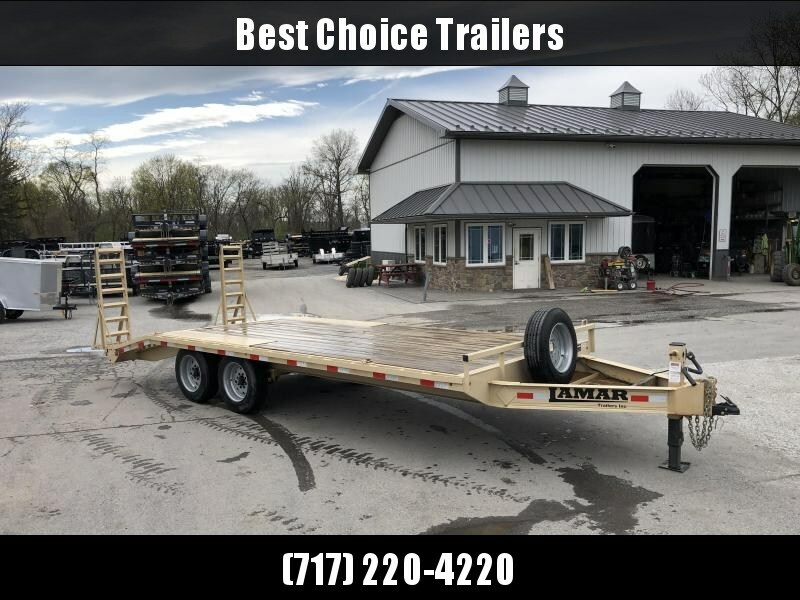 - Bolt on jacks (Dual 12K bolt on drop leg jacksare standard on 14K+ HDGooseneck deckover models, while a single 12K jack is standard on bumper pull models. 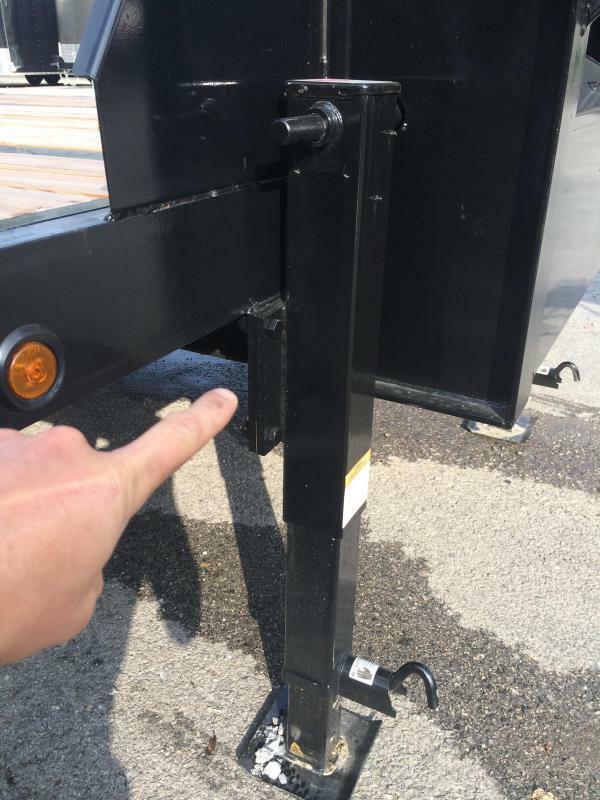 To deploy a drop leg jack, you pull the pin and it and it extends to the ground. 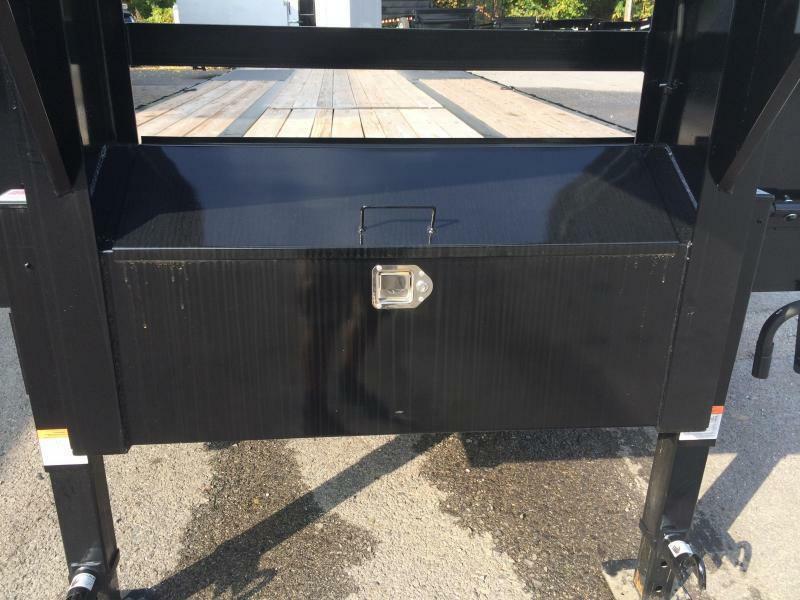 If it gets damaged, it's an easy replacement rather than a trip to a fab shop. 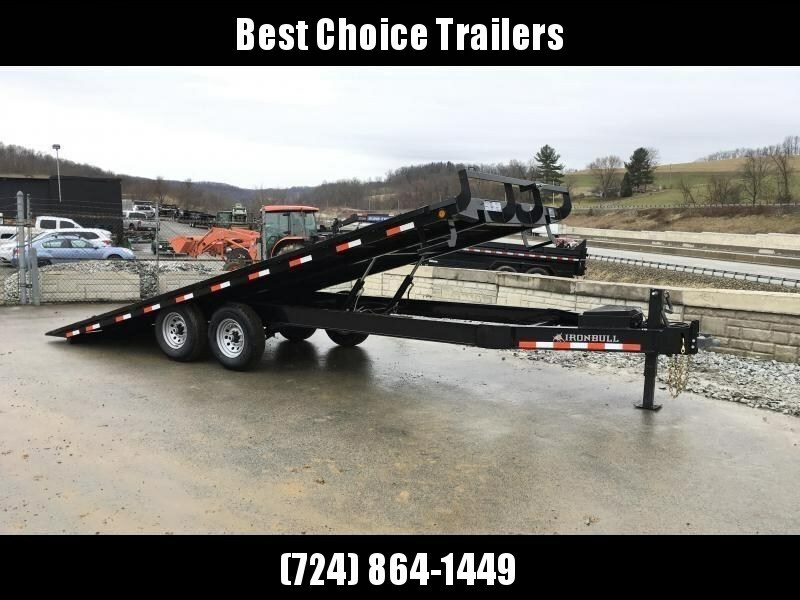 Dual jacks provide lots of stability for the longer gooseneck models, and have plenty of lifting capability). 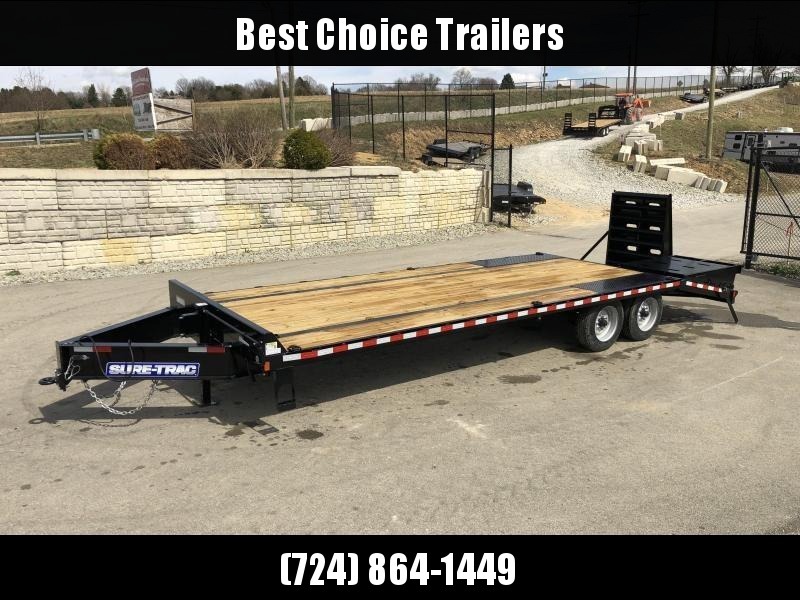 - Gooseneck Available (All Gooseneck models get a full width front toolbox standard, dual 12K bolt on jacks, as well as neck gussets to the side rail and from the horizontal to vertical beam. Some manufacturers don't offer the neck gussets, which provide critical support to the neck. 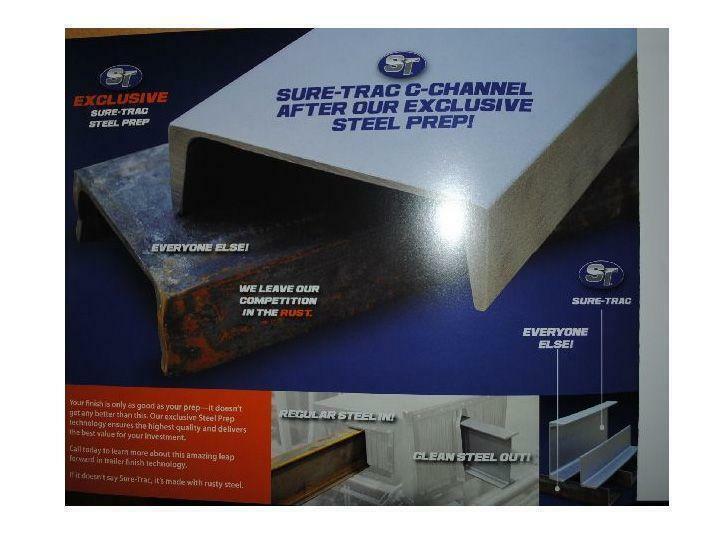 Also, some do a chain tray ILO a toolbox in the neck). 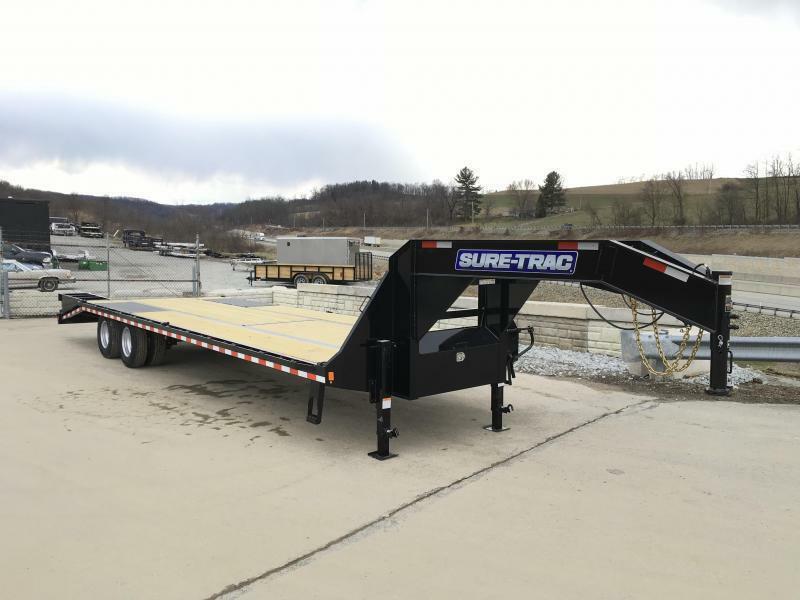 - Better built beavertail (So it's only a beavertail, what can be different, right? 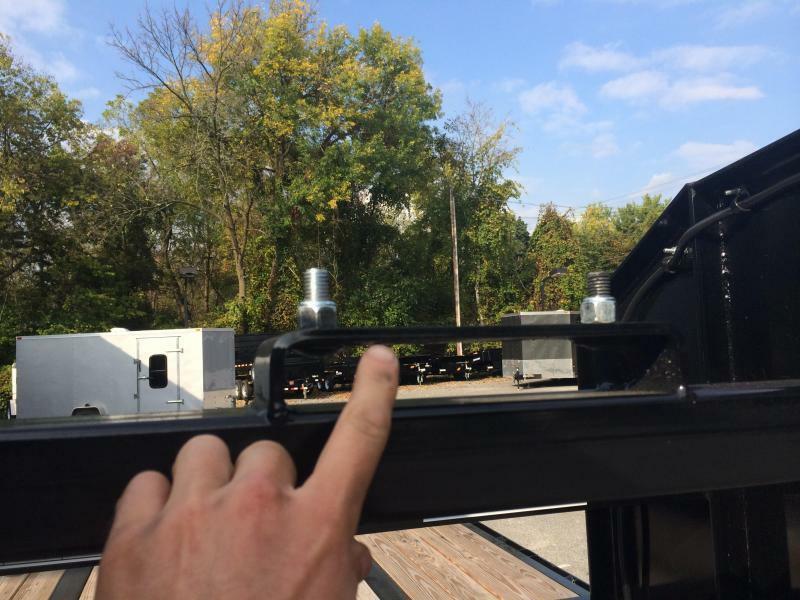 Well, first the cleats are 3"x3", not a 2x2" as you'll find on many trailers. 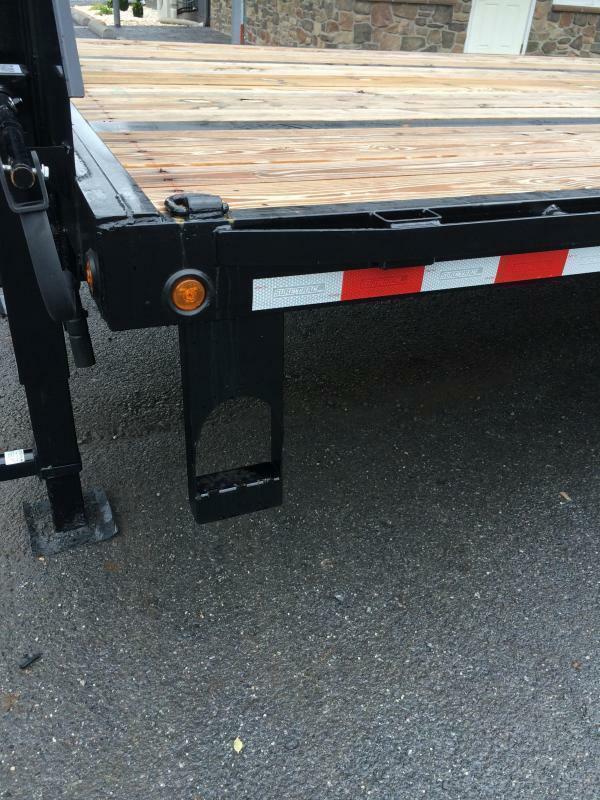 Second, the outer side rail is channel, but turns to tube for the 5' beavertail for strength when loading. 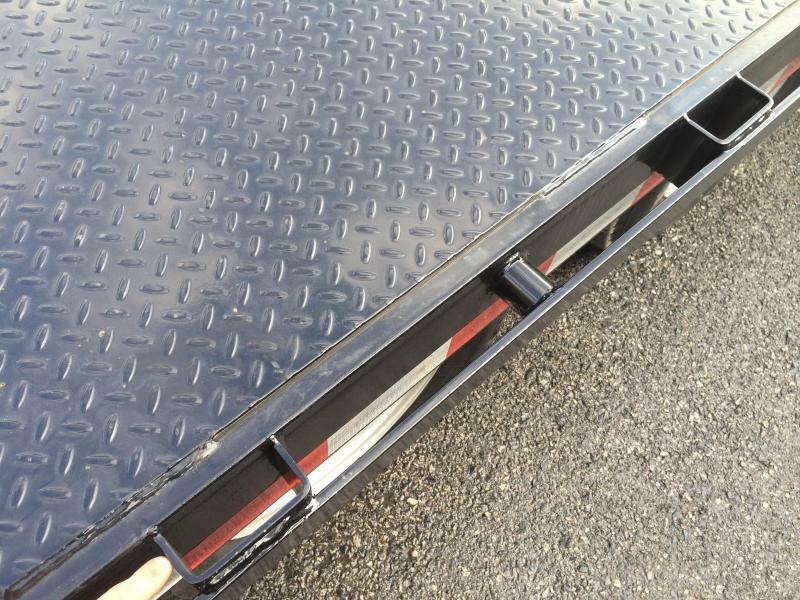 Finally, the tubular rear bumper gives strength to the ramps when loading, protects better from rear impact, and provides a more secure location for the sealed wiring harness). 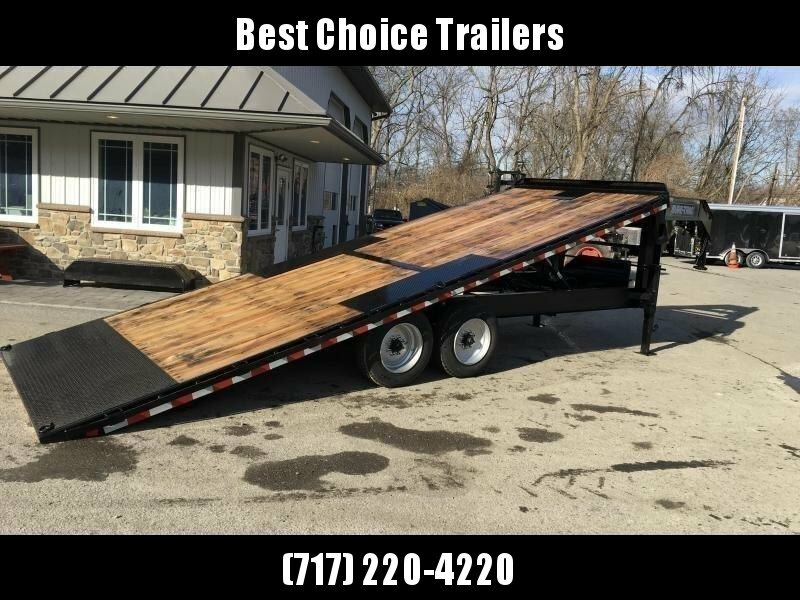 - Painted Underside (Hard to believe, but if you've crawled under many trailers, you'll quickly find that paint on the underside of some trailers is an option...makes you wonder where else shortcuts are being made). 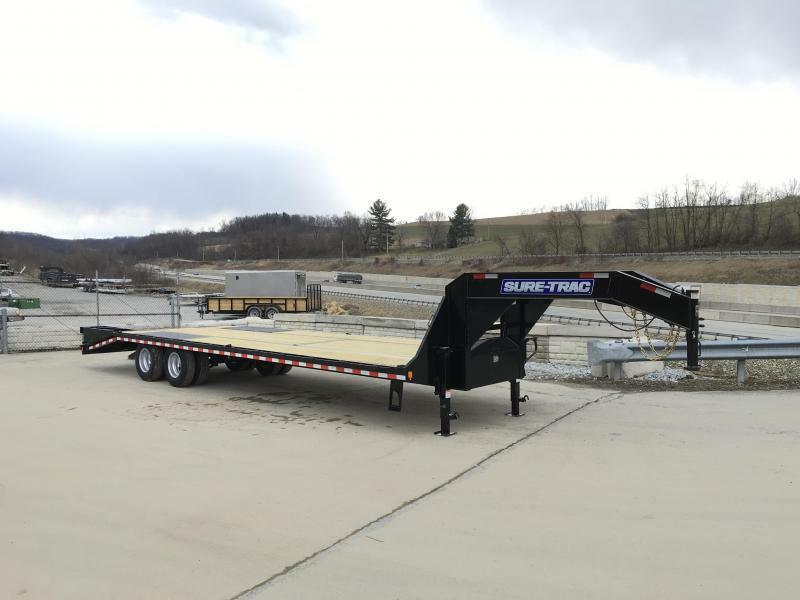 - Cross Trac Bracing (All models come standard with CrossTrac bracing, which is a rubrail looking piece of flat steel that runs in an "X" pattern under both the crossmembers, and also from I-beam mainframe to mainframe. 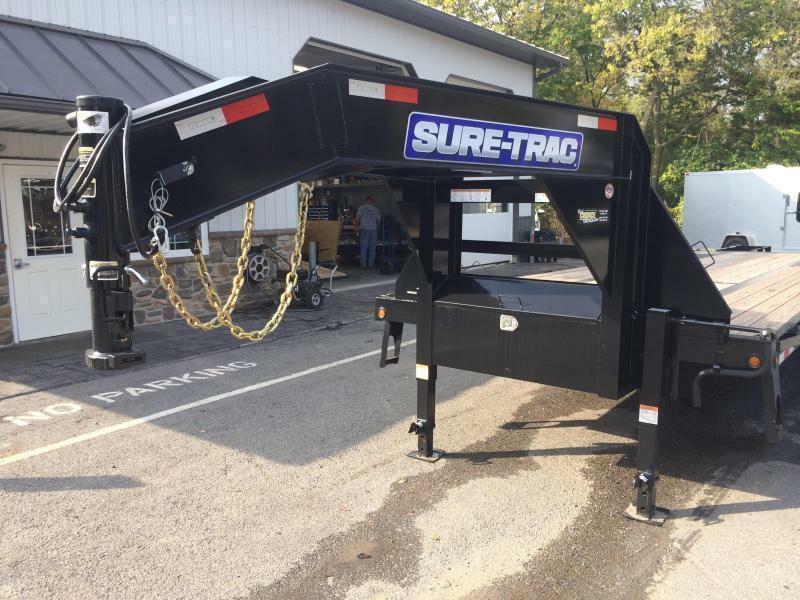 Cross Trac has been tested, and is approximately 4x's stronger than a torque tube as it ties in many more places than a torque tube. 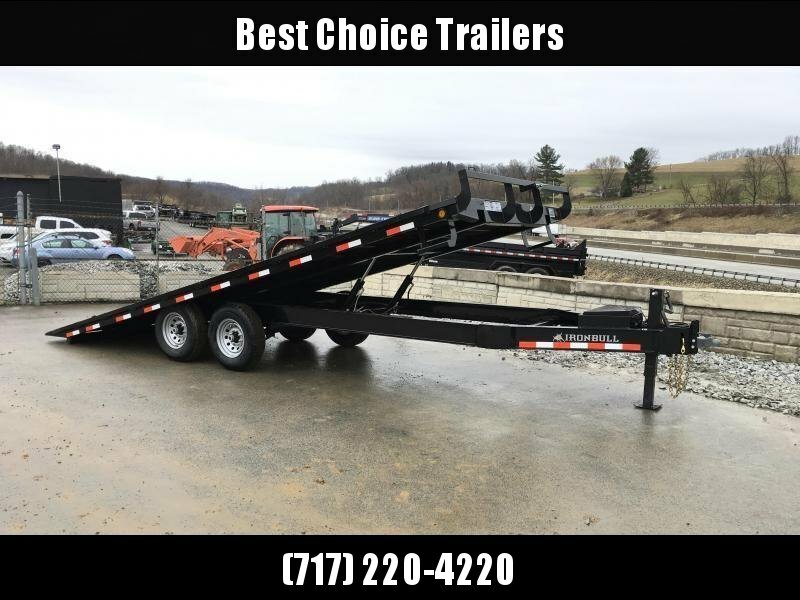 It helps to keep the trailer from absorbing the twisting forces that are applied to the trailer frame during loading and hauling. 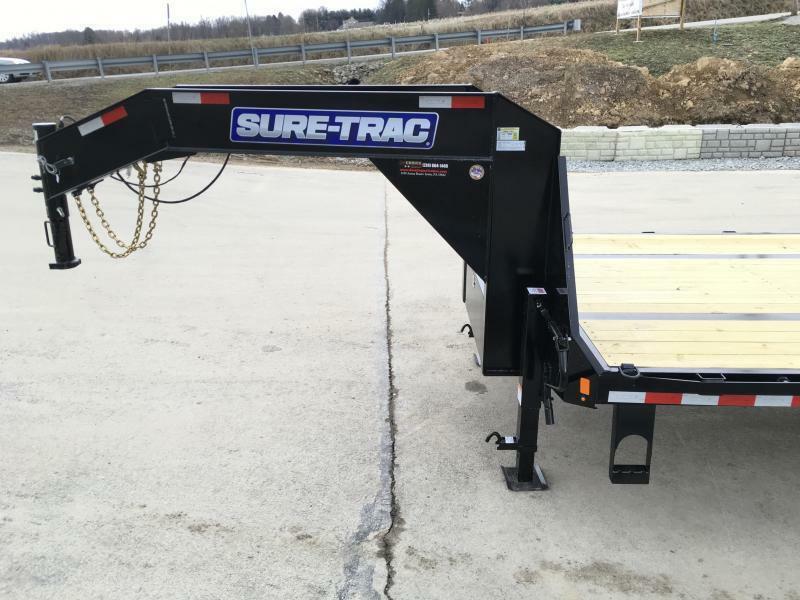 This bracing creates a more stable platform with less flex and sway when hauling. 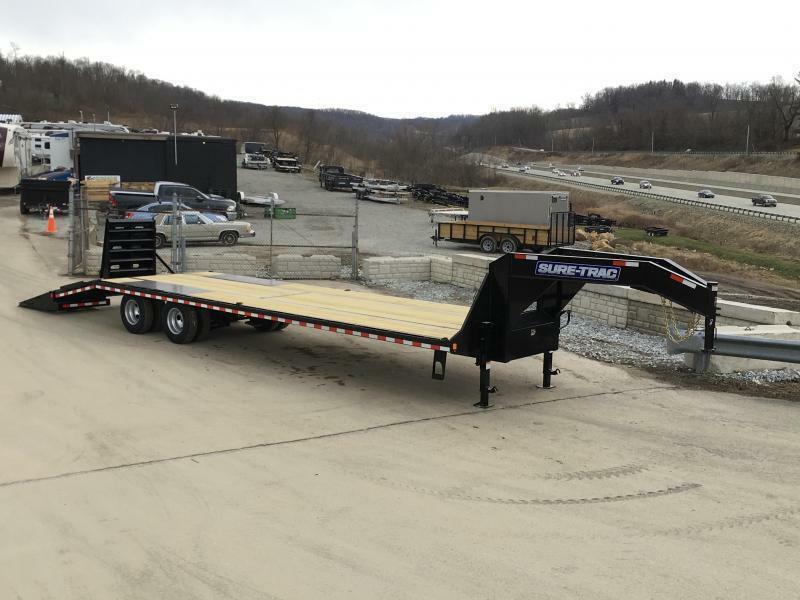 CrossTrac bracing is lighter as well, and is a standard feature on all sizes, not just 30-35'+ models on some other models). 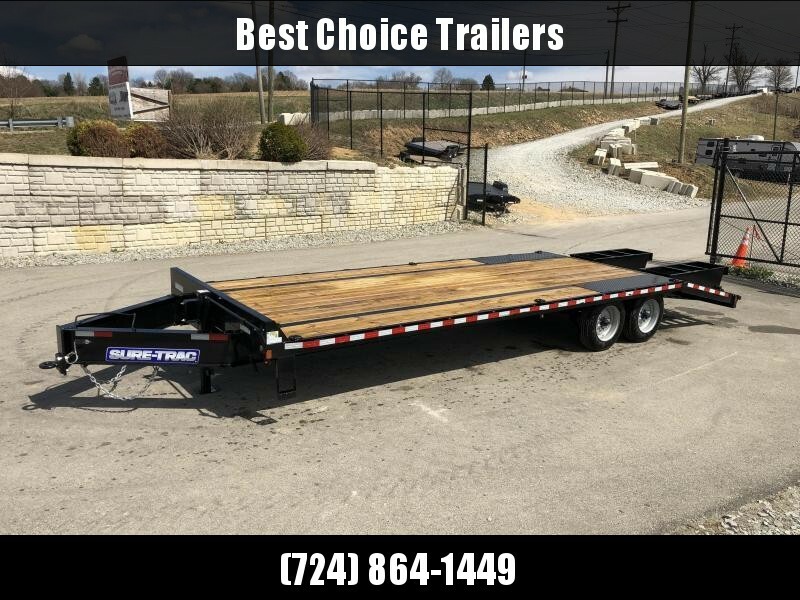 - Radial Tires (Longer lasting and better riding, radial tires should be on all trailers, but sadly, some name brands you've probably heard of still use bias...beware of the "hybrid" tire, which looks like a radial, but is still a bias tire with reduced tread wear). 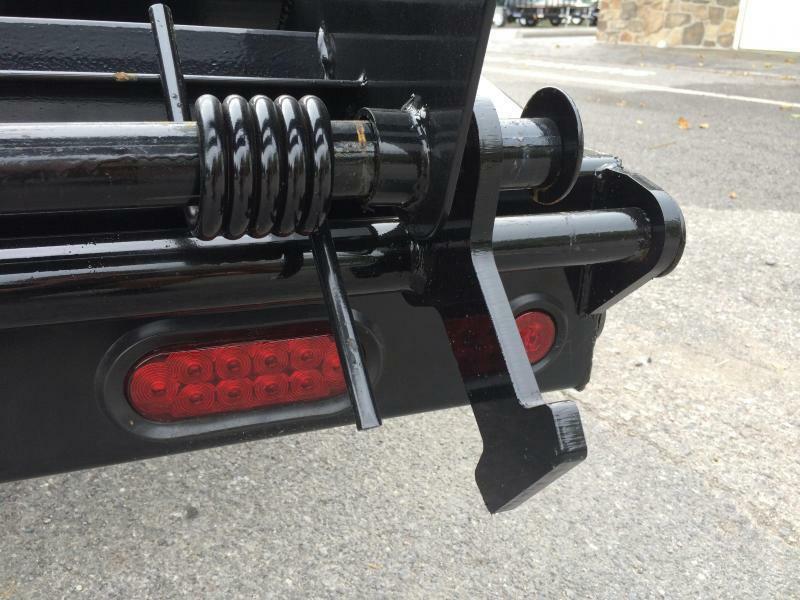 - Spare tire mount (While many don't include a mount or have an uninspiring design, Sure Trac's does an excellent job integrating the mount into the structure without obstruction, is well placed and well designed). 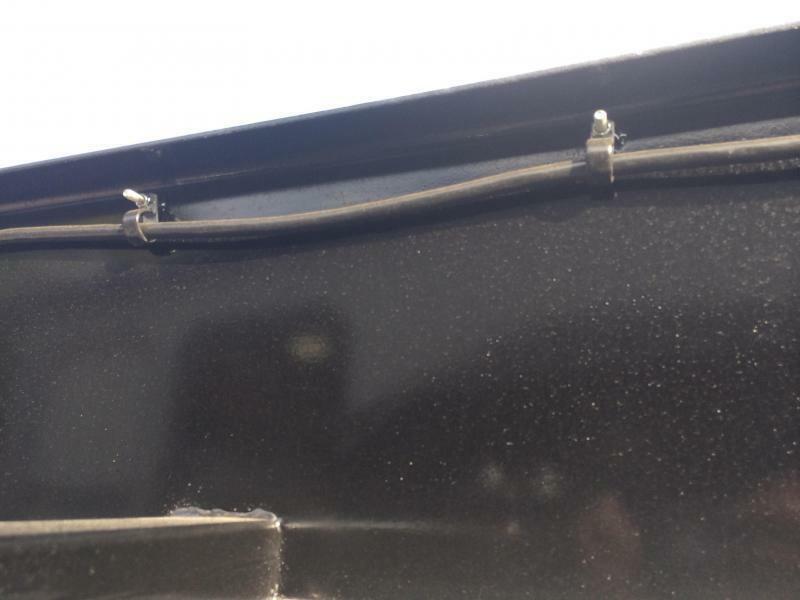 - Sealed wiring harness/Sealed brake connections (More time using the trailer and less time working on it! 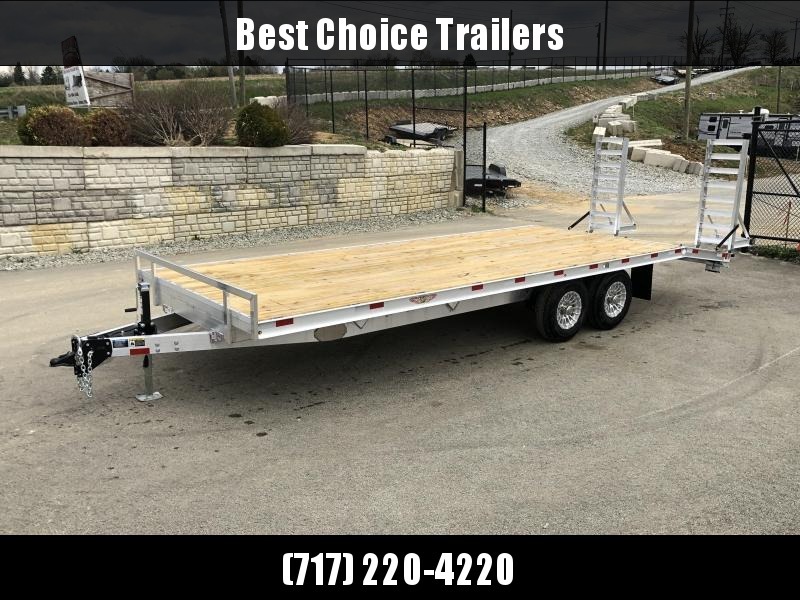 Our trailer features a sealed modular harness, equipped with plug & play sealed brake connections. 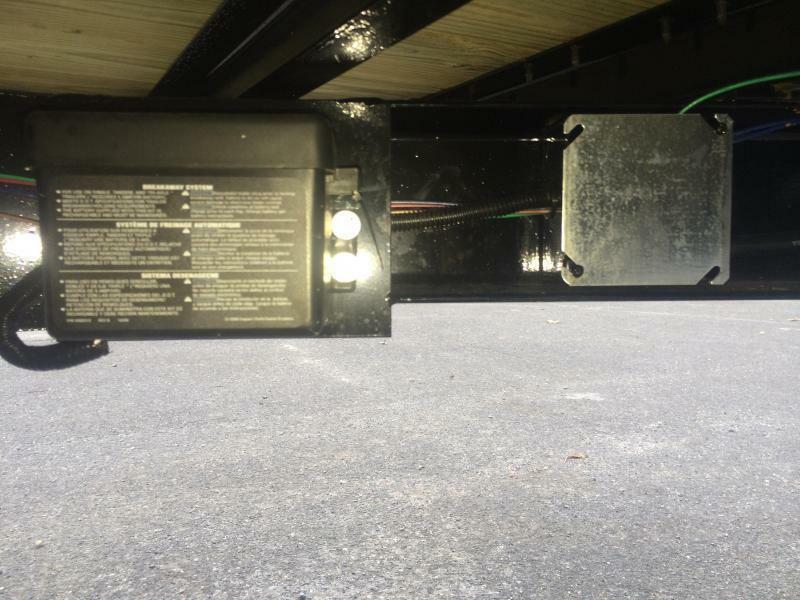 The wiring is concealed and protected in frame). 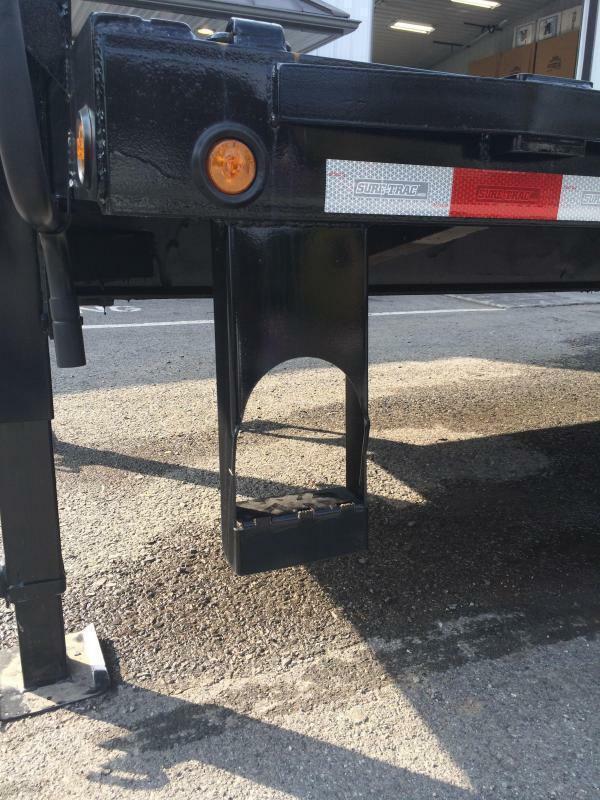 - Slipper spring suspension (All 14000# GVW and up HD Deckover trailers will receive the heavy duty suspension standard. 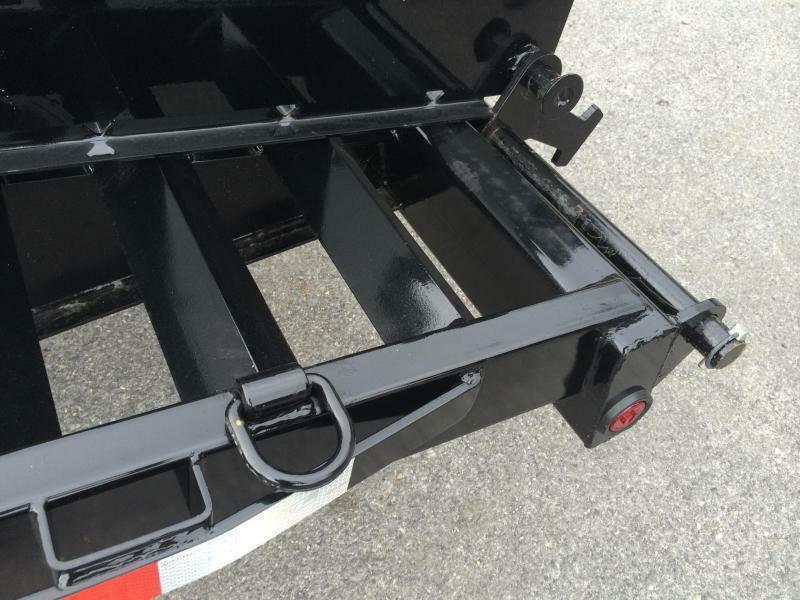 It provides more durability and stability to the trailer than dual eye springs. 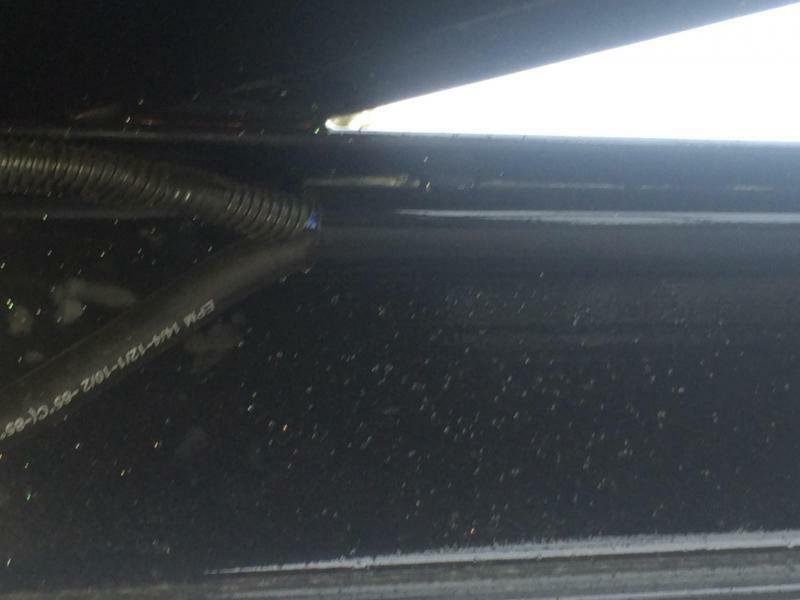 They are also equipped with a wet bolt kit for service). 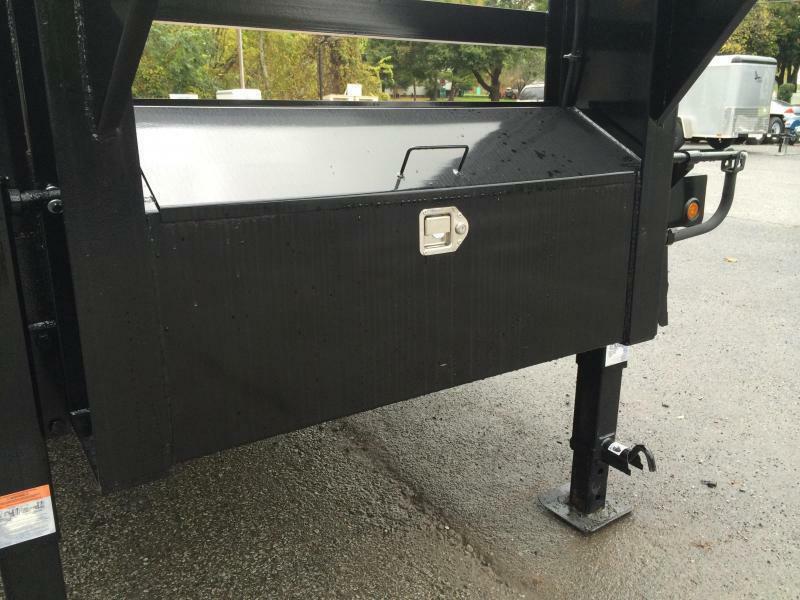 - Integrated side step (A side step on both sides is a standard feature on all HD deckovers. 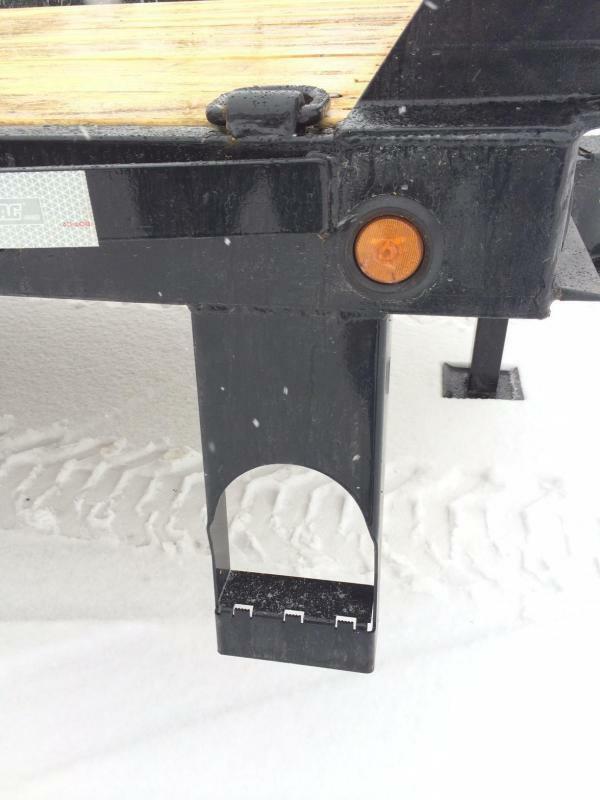 It has built in traction cleats for gripping your shoe).